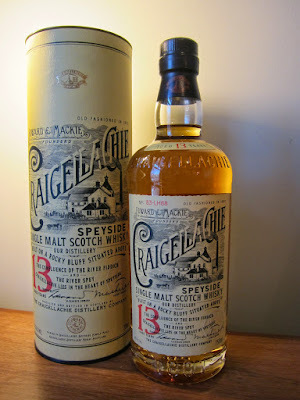 Craigellachie 13yo (46.0%): Well, do you remember me poor-mouthing the whole campaign of the new Craigellachie releases just a couple of months ago? If you don't, here is the link to remind you. And now guess what's the bottle on my desk. 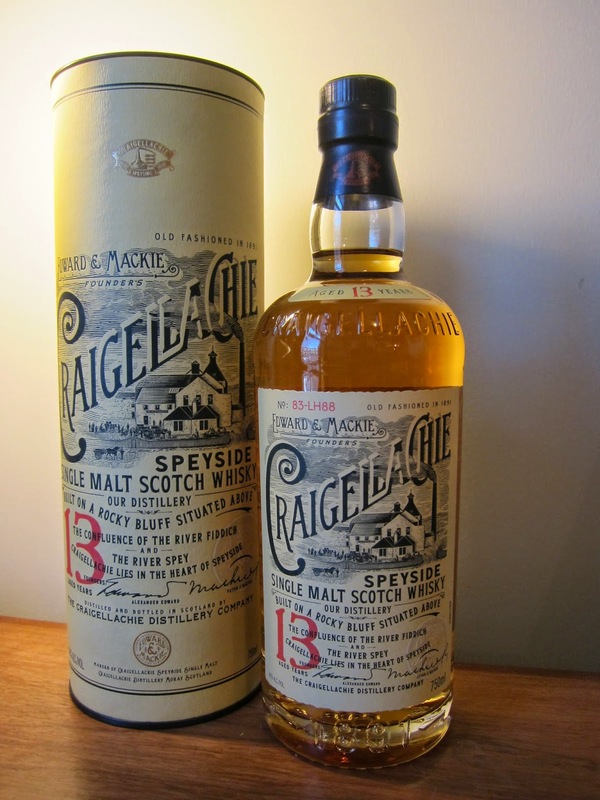 Yep, it's the new Craigellachie 13yo... What did we learn from this? You might disagree with the marketing strategies sometime but if the product is right it will find its way into your cabinet. I still have the very same opinion about their campaign though, especially about that impossible website. I spent another twenty minutes today to figure out what they were possibly trying to do but I'm absolutely clueless. I simply gave up. It's a rabbit hole, don't even try... Anyway, I think I first tasted Craigellachie 13yo at SMWS Extravaganza Boston last Fall and I remember liking it a lot but I didn't have decent notes from that night to refer to. Now since I have a full bottle in front of me that I can spend more time with, I can enjoy sipping it and write down some tasting notes... Color: Light - medium amber, yellow gold. Nose: Thick beef stew with shallots, carrots and celery. Dole pineapple juice: both the juice and the metal can. Slightly sulphury. Struck matches, banana cream pie, candied pecans and honeysuckle. Rice pudding with cinnamon dusting and nutmeg. Drops of water add floral notes: Jonquils and Christian Dior Jadore (?!). Palate: Creamy and chewy mouthfeel. Spearmint drops, apple skillet pie and baklava syrup. Burnt crust of Catalan flan and polished hardwood. Sulphur is still there. Not pronounced like some Tobermory releases but pretty consistent throughout the whole tasting. Water helps to make everything work together. More balanced now. Finish: Short to medium. Sweet with allspice, poached quinces and cloves. Overall: When we first tasted it together Robin Robinson called it as "poor man's Mortlach" and I couldn't agree more... If you like that meatiness and don't mind a little sulphur in it, this dram is a great alternative to your beloved Mortlach with a lower price tag. Other than that I wouldn't expect an adventurous ride though. It is a good and solid dram but lacks a little edge to its personality. Great everyday dram with some young and vibrant notes you wouldn't expect necessarily from a 13yo dram. I would like to taste the older expressions in the line-up as well in coming months and compare.